Payment is made on the day at the start of the workshop. No refund issued once training has commenced. Balawista Badung (Bali Surf Lifesaving). The course is conducted by Balawista Badung, Kuta Beach (Bali Surf Lifesaving). ​They also issue the certificate. Complete the online enrolment form on the ASI website. Payment for the senior first aid course is made to the trainer on the day before the start of the workshop. 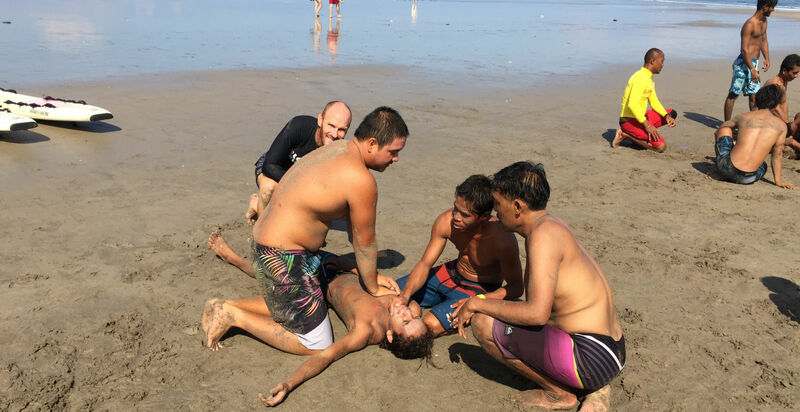 All NEW Indonesian surfing instructors should complete the Bali "Surf Lifesaving Bronze certificate". Duration: 10 day or 4 day intensive course. Cost Includes: Clothes uniforms, manuals, books, pens, lunch, drink, and certificates. Address: Bali Surf Lifesaving Head Office. Balawista Badung, Kuta Beach, Pos-Pos Balawista (Jl Pantai, at beginning of Kuta Beach). The courses are run by Balawista Badung (Bali Surf Lifesaving). 3 minutes walk to beach. Regulated taxi service operates from the airport (with reasonable fixed fares, approx rp. 60,000). 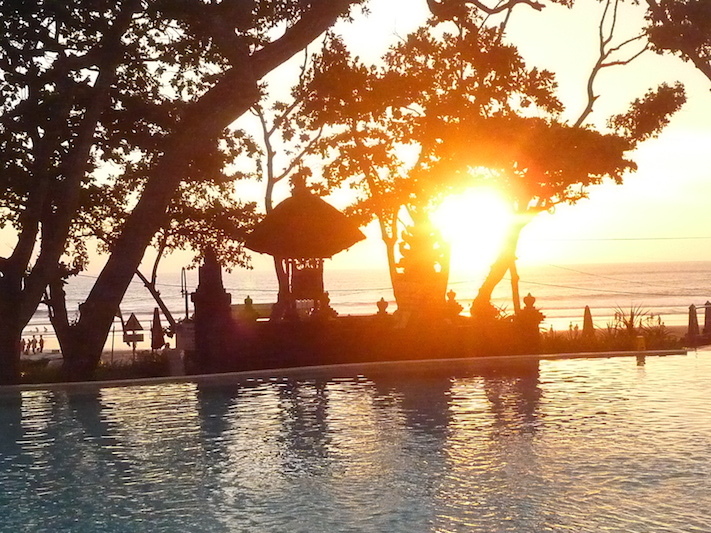 Bali is known for its consistent year-round surf and warm tropical waters, easy and inexpensive living. There is a large range of surf breaks to suit all surfing abilities. There is plenty to do in Bali. Close by are cafes and restaurants from simple warungs with meals for $1 to 5 star luxury with cuisines from anywhere around the world. A huge range of bars and clubs and excellent shopping. Bali is also home to the Gods. The local Balinese practice Hinduism and temples are everywhere, religious ceremonies are part of everyday life.